Lithuania completed a double over Great Britain with a 7-2 win at the Skydome in the second of two matches between the two sides this weekend. The visitors had already won game one on Saturday night when they came from 2-0 down to score three third-period goals to take a 3-2 victory in Milton Keynes. GB head coach Pete Russell iced a more youthful roster on Sunday night from his 28-man camp training squad, with Ben Bowns, Ben O’Connor, Mark Richardson, Liam Kirk, Colin Shields, Jonathan Phillips, Brendan Brooks and Robert Dowd the scratches for the evening. Jackson Whistle got the start in the GB net and the hosts had the first chance when Evan Mosey was denied by a Mantas Armalis pad save after only 15 seconds. Paulius Gintautas cut inside from the left to give Lithuania the lead at 4:30 and moments after GB had killed off a Matthew Myers penalty, Emilijus Krakauskas tapped in at the backdoor (10:13). But GB roared back with two goals from Robert Farmer in three and a half minutes. Brendan Perlini stole the puck for an odd-man rush which saw Farmer score on the rebound (11:42) and the Nottingham Panthers forward netted at the backdoor after a great move up the ice from Mosey and Robert Lachowicz (15:10). Lithuania went 3-2 ahead when a broken play saw Arnoldas Bosas score on an odd-man rush and the visitors’ two-goal lead was restored when Edgar Rybakov potted home a rebound at 32:39. 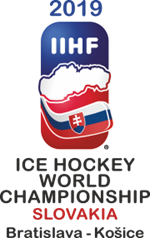 Whistle was replaced by Thomas Murdy in the GB net and Britain had to kill off a penalty to Paul Swindlehurst before the period was over. Lithuania scored 46 seconds into the third period with a pin-point bullet by Bosas from the right circle (40:46) for his second of the night. Dainius Zubrus, the former NHL forward, broke free to score Lithuania’s sixth at 45:01 before Krakauskas wired one past Murdy for his second goal (51.00). GB head coach, Pete Russell, said: “I was disappointed with the result but it was good to get some of the young players out there. “These games are about seeing the squad in a match situation and I was able to do that.